Location: Porcupine Hill Farm, Bovina, New York. Price for the week: $1600.00 (Price includes all food, water, tents, classes, art supplies and transportation to camp, pick up in Williamsburg). Sign your kiddo up for a camping experience they will never forget! 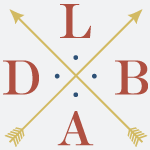 LDBA is pleased to announce registration is open for the 6th annual Farm Camp! For five days and nights your child will learn invaluable skills such as how to pitch their own tents, how to build and manage shelters and fires safely, how to make arrows, tie knots, identify plants, mushrooms and trees, how to milk cows, feed and care for chickens, pigs, sheep and goats. We will learn about bees, gardens, pottery, foraging, and so much more. Daily art, cooking and survival classes will be held and visiting artists will teach special workshops. Food will come from surrounding farms and is cooked by Danny Newberg, our favorite professional chef. We will visit farms in the area, but the main farm school will be on Porcupine Hill Farm. Kids will sleep in canvas tents, hike in the great outdoors, swim, fish, play soccer, hone their skills and enjoy the great outdoors. We have 6 core councilors (cpr certified) who will be there day and night, and many visiting artists and teachers- we also have a tipi! Purchase is available in full, or you can reserve a spot with a non-refundable deposit that will be applied to the full price. Waiver, information form, supplies list and details provided after registration. Please register soon for the limited number of spots available!